Handcrafted from solid American hardwood, your Coupeville Bar Chair is built with unmatched resilience and strength while still offering classic style. Pictured in Oak with Cinnamon Stick stain, your Coupeville Bar Chair is casual. Have our Amish craftsmen handcraft this kitchen counter stool in Brown Maple, however, and a dark stain can make it appear quite Contemporary. 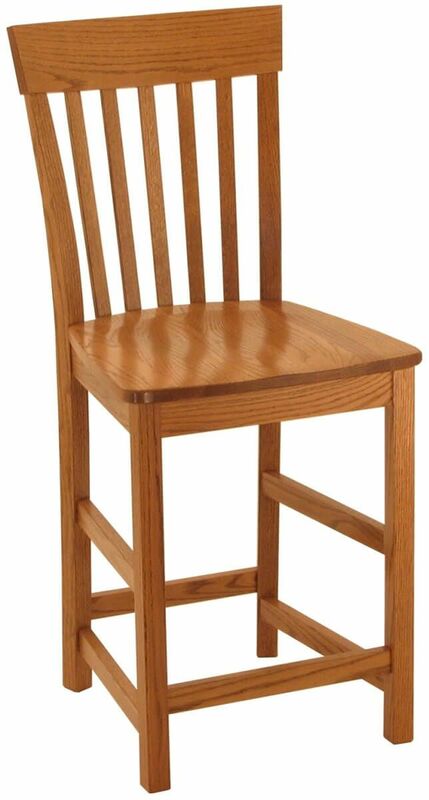 When making your menu selections, remember that this made-to-order bar chair is offered in a 24" seat counter height, or 30" bar height. Make your selections and our Amish artisans will prepare your Coupeville Bar Chairs to order. 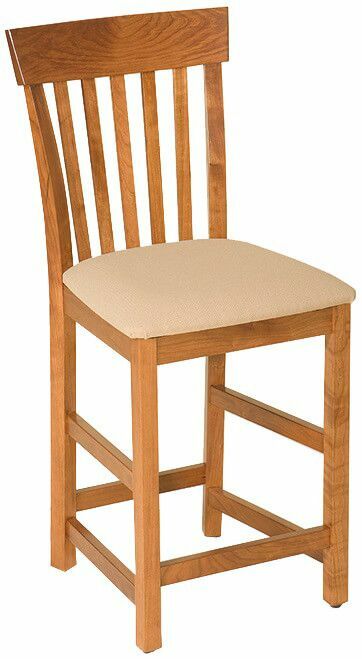 Perfect for your kitchen, dining room, or bar and grill, this solid wood bistro chair is built to last.